New York City: HarperCollinsPublishers LTD., 1991. 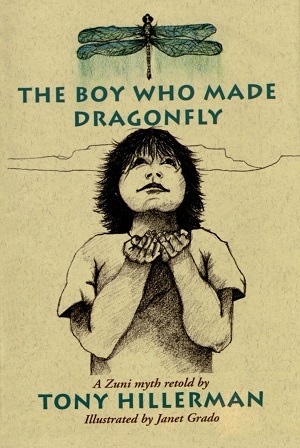 This is the first HarperCollins paperback edition of The Boy Who Made Dragonfly. This 1991 edition was published by HarperCollins Publishers Ltd. in New York City, New York. The cover and inside were illustrated by Janet Grado. Format: Paperback, 20.3 x 14 cm. Binding: Full-colored paper coves with the author title, and publisher printed vertically in brown on the spine.